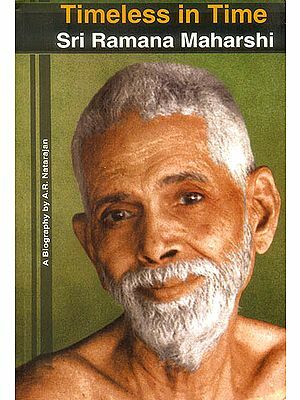 First released on the 63rd Jayanti Celebration of Sri Ramana Maharshi, Sri Ramana, The Sage of Arunagiri fascinated scores of seekers for whom this small book was an introduction into the life and teachings of a living sage, residing at the Holy Arunachala Mountain. The captivating portrayal of the Sage’s life, a condensed anthology of the essential teachings of the Master and extracts from renowned texts like the Yoga Vasishta have served to ensure the longevity of this publication. Themselves but shadows of a shadow-world! If thus a person, born in alien milieu, can enter into a new mood as remote as it is rapturous and as rapturous as it is remote, we can expect Hindu disciples to show a clear and convincing comprehension. And in fact this class of literature has grown to vast proportions. Mr. B.V. Narasimha Swamy has given us an intimate study. The present author who hides himself behind the mysterious and magnificent name Aksharajna has entered very deeply into the spirit of the great Master. He gives to us a clear and bright picture of the great Master. He gives to us a clear and bright picture of the great Master. He gives to us a clear and bright picture of the robust boyhood of the Master. But even in such boyhood the passion of meditation brought its unusual and rapturous interruptions of the normal life. The boy exercised a strange fascination over all who met him. The casual hearing of the word ARUNACHALAM fanned some unknown central heat in him into flame, and he fled from his temporary home to this eternal Home where he lives in the fullness of Peace today. The author has narrated the story of the great awakening in a gripping way. Romain Rolland says that in Europe such a child would be placed in a mental hospital. But India – to use the language of the Gita – knows that what is darkness to all beings is radiance to the Samyami. The author appropriately adds to his work a brief but comprehensive exposition of the teachings of the Sage, adopting, as far as possible, the same expression and language used in other books published by the Asramam, thus representing accurately the different aspects of the Eternal Truth, of which the Sage of Arunagiri is himself the living Embodiment. The work is thus attractive and illuminating. It brings before my mind’s eye very vividly the Maharshi as I saw him a few months ago during the Karthigai Deepam season, sitting on his couch with eyes Visioning the Light of lights which is inside the inside and yet beyond the beyond, while the surging crowds poured in and bowed and sat in reverential awe, a subtle incense spread all round us, and the full moon shone at its zenith in the azure sky.